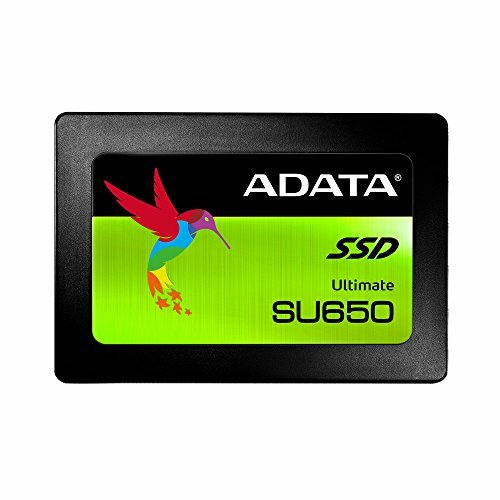 ADATA SU650 Solid State Drive accelerates by the next-generation 3D NAND technology to provide faster and more reliable solutions for your storage needs. With read speed up to 520 MB/s* and write up to 450 MB/s *, ADATA SU650 delivers few times faster speed than conventional hard drive and to upgrade to SSD, you can shorten boot time to seconds. With a very cost-friendly price, SU650 is your best choose as an entry level everyday application SSD. In addition, the new improved ADATA SU650 has nearly twice the Terabytes Written (TBW) then previous-generation 2D NAND SSD. With improved durability, ADATA SU650 also offers 3-year limited warranty for worry-free ownership experience. *Performance varies by SSD capacity & paired devices.